What are the foundations and politics of sustainability? Readings from ecologists, urban planners, philosophers, geographers, reporters, artists, and everyday citizens respond to this and other questions in Sustainability. Learn how to make inquries from more than one perspective within this complex topic area as you build a greater understanding for the subject. Focus on how crises challenge sustainability as well as how it connects to local and transnational environments, tourism, and recreation, all while learning how to take a productive dive into writing for this single-themed course through a wide range of activities. Chapter 1: What are the Foundations of Sustainability? 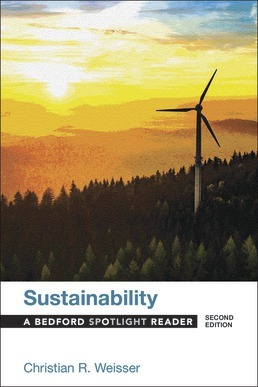 Chapter 2: How is Sustainability a Political Issue? *JR Thorpe, What Exactly is Ecofeminism? Chapter 3: How Do Crises and Disasters Create Challenges for Sustainability? David Biello, How Did the BP Oil Spill Affect Gulf Coast Wildlife? *Alison Singer, Fracking: The Solution? Or the Problem? Chapter 4: How is Sustainability Connected to Local and Urban Environment? *Michael Bloomberg and Patricia de Lille, Green Cities: Why Invest in Sustainable Cities? Amy Westervelt, Can Recycling Be Bad for the Environment? 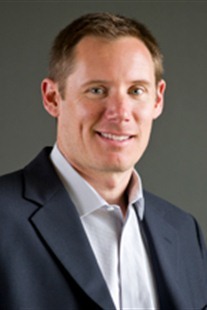 *Scott Carlson, Whatever Happened to the Drive for Campus Sustainability? Chapter 5: How is Sustainability a Transnational Issue? Chapter 6: How are Tourism and Recreation Connected to Sustainability? *Robyn Migliorini, Is Hunting Sustainable? Christian Weisser is an Associate Professor of English at Penn State Berks, where he coordinates both the Professional Writing Program and the Writing Across the Curriculum Program. Christian is the Editor of Composition Forum, a peer-reviewed scholarly journal in rhetoric and composition. Much of his research focuses upon the ecology of writing and environmental rhetoric, and he is the author or editor of half a dozen books and numerous articles on this subject, including Moving Beyond Academic Discourse, Natural Discourse (with Sid Dobrin), and The Locations of Composition (with Christopher Keller). Christian enjoys teaching courses in technical writing, environmental rhetoric, and the discourse of sustainability.